In today’s era of technological advancement in the e-commerce industry, people prefer to order online rather go to the store and find the required items. As these businesses grow, the owners find it difficult to manage their customer to deliver the product on time without any breakage moreover they need a large space to store the goods which they are selling online. 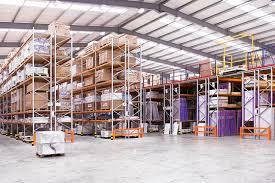 This problem is tackled by hiring a third-party for this services that are specifically providing the Order fulfilment in Brisbane with logistics services and making it possible to deliver the customers on time as well as providing the warehouse services and other added services to the businesses. With the efficient order fulfilment services and better distribution services to the customers is helping the e-businesses growing more quickly. Other than that handling the e-competition, one can get a competitive advantage by using the third-party to deal with the logistics services. With the help of the 3pl businesses are achieving economies of scale and enjoying the peak period of their cycle life as it helps them to compete more strongly than ever. But the point is, choosing the right team for this job can only help to achieve the above-mentioned objectives. An experienced and reliable 3pl service provider can help to reduce overhead cost and also help to efficiently manage the supply chain. The extensive network of supplying goods allows businesses to expand beyond the boundaries in a better way.